- Mamma Mia! 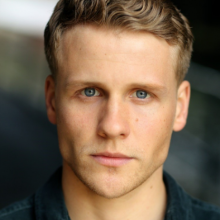 Here We Go Again with Josh Dylan as the young Bill is in cinemas now! A graduate of Guildhall School of Music and Drama, Josh appeared opposite Brad Pitt in 'Allied' directed by Robert Zemeckis.